b.good at 168 Great Road in the Bedford Marketplace shopping center is set to open on Wednesday June 12th in the space formerly occupied by Cambridge Savings Bank. 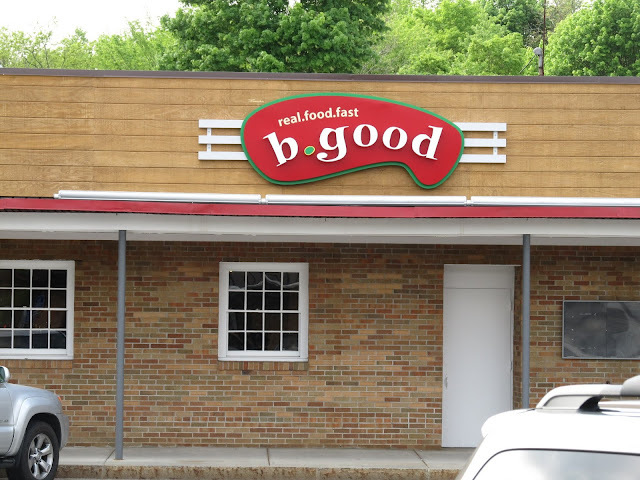 b.good is a fast casual restaurant that serves locally sourced meat and produce. The menu is focused on all natural burgers, sides and shakes. I recently spoke with Jon Olinto, co-founder of b.good. b.good opened their first location in 2004. According to Jon, the Bedford location will be their 11th restaurant (with 2 more expected to open in July). The Bedford location is bigger than most of their other locations, which means more seats and a produce case to display the produce they get from local farmers. Since the vegetables are from nearby farms, the selection varies seasonally. The Bedford location has 48 seats and expects to employ about 20 people, including some Bedford High School students. Jon mentioned that b.good likes to be active in the local community. They currently have plans to provide food for Bedford High School on June 4th and food for the middle School on June 14th. Jon mentioned they were fairly happy with the permitting process in Bedford and they felt the town was pro business. b.good plans to have a pre-opening celebration that will be open to people who joined their Family loyalty program. The pre-opening will feature live music and free food. There seems to be a recent surge in restaurants focused on burgers. In the past year, Burlington alone added a b.good, Five Guys and a Bobby's Burger Palace. According to LoopNet, the current residential housing at 22 Shawnsheen Road may soon be demolished to make way for a 2 story retail building. The proposed site plan shows a 6600 square feet building along with 53 parking spaces. Google Maps View of the current residential properties. 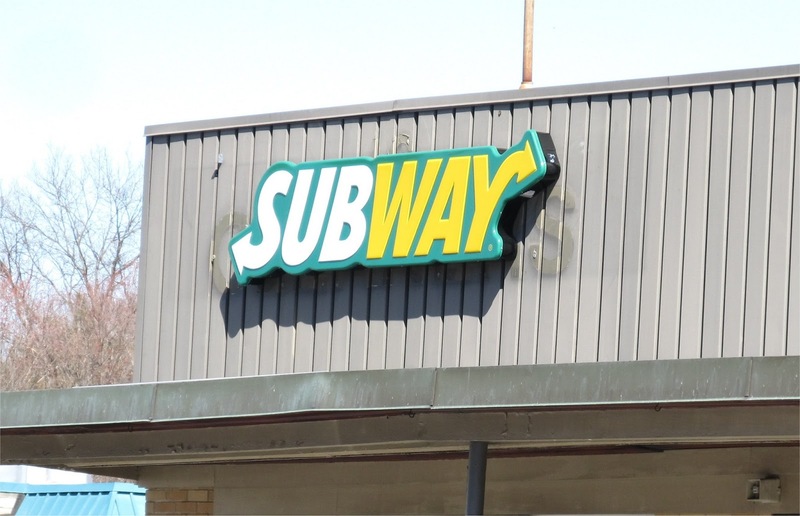 The Subway Restaurant at 170 Great Road in Bedford Marketplace is expected to open on Friday. The new restaurant, which has been under construction for several months, does have a small dining room but is expected to do a lot of takeout business. While this is the first Subway Restaurant in Bedford, there are currently five locations in Burlington and three in Billerica. The interior has just about been completed. The restaurant is expected to open in a few days. 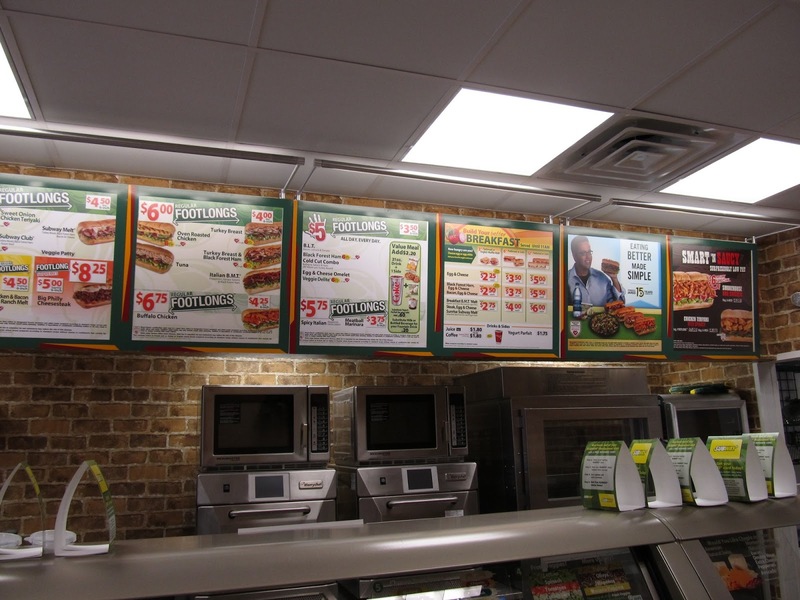 While the exact hours are still unknow, most local Subways are open daily from about 7am until 9pm. The Panera Bread at 213 Burlington Road officially opened on May 8th. While the store was originally set to open May 1st, some last minute tweaks were made. 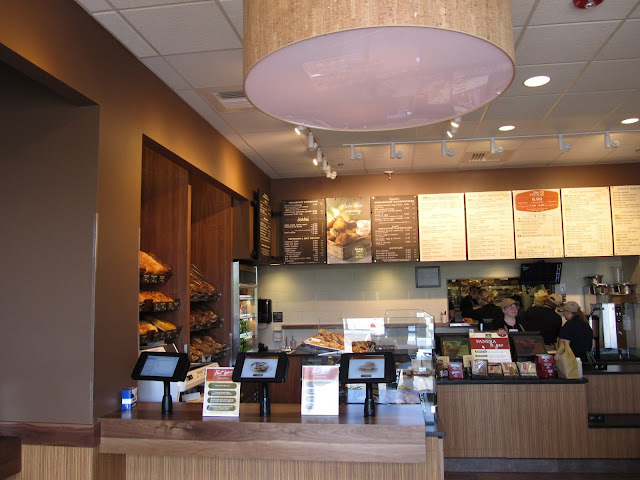 As previously reported, the Bedford location is a totally new concept for Panera Bread and they wanted to make sure things were set up correctly. While the new store has traditional cash registers, it also boosts 7 self service "Fast Lane" Kiosks, where you can order in person or pick up an online order. What's interesting about the online and Kiosks ordering is the ability to save your preferences or duplicate a previous order. So if you only want mustard on a Roast Turkey sandwich, you just need to specify that once. Along with dine in and take out, the restaurant also offers delivery as well as catering. 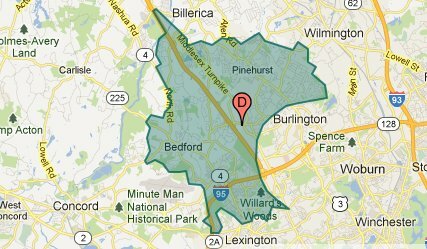 The delivery area includes most of Bedford as well as portions of Billerica and Burlington. The new restaurant also has a bakery right across the hall. This is staffed with overnight bakers who do the baking on premises. 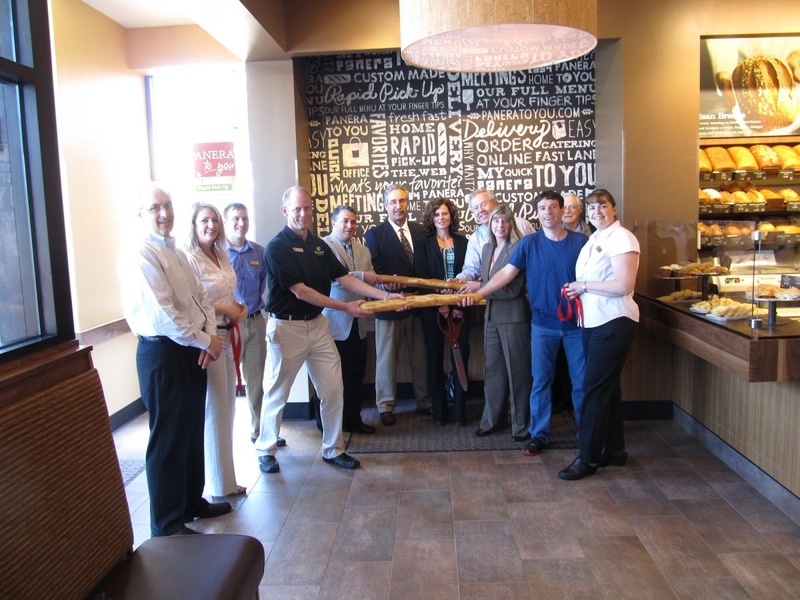 Along with the traditional Grand Opening ribbon cutting, the new Panera Bread also had a breaking of the bread ceremony. This new Panera Bread Takeout & Delivery concept seems to be designed for speed in order to quickly provide breakfast and lunch as well as dinner home meal replacement to nearby workers. It will be interesting to see how they do and compete against the more "traditional" sandwich shops.